We are always looking to build on our dynamic team working from our London office who are outgoing, self-motivated, driven, structured, reliable, confident, honest, articulate and well-presented individuals who are willing to go that extra mile and love working to targets and constantly over performing. Autodesk Maya, SoftImage, 3DS Max, Luxology Modo, Adobe Creative Suite, NUKE STUDIO, Unreal Engine, Realflow, Maxwell, Unity 3D, mobile developers. We are currently interested in hearing from anyone working or wanting to work in the creative media as part of the production team. Successful candidates will be given the opportunity to work across projects both internally and for our clients. 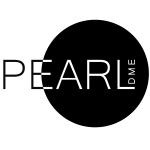 Email info@pearl-dme.com with your C.V. and any online links to your work.